Very sturdy. I would recommend it to anyone. After the holidays I will use it to get to my higher cabinets and hopefully change my curtains. 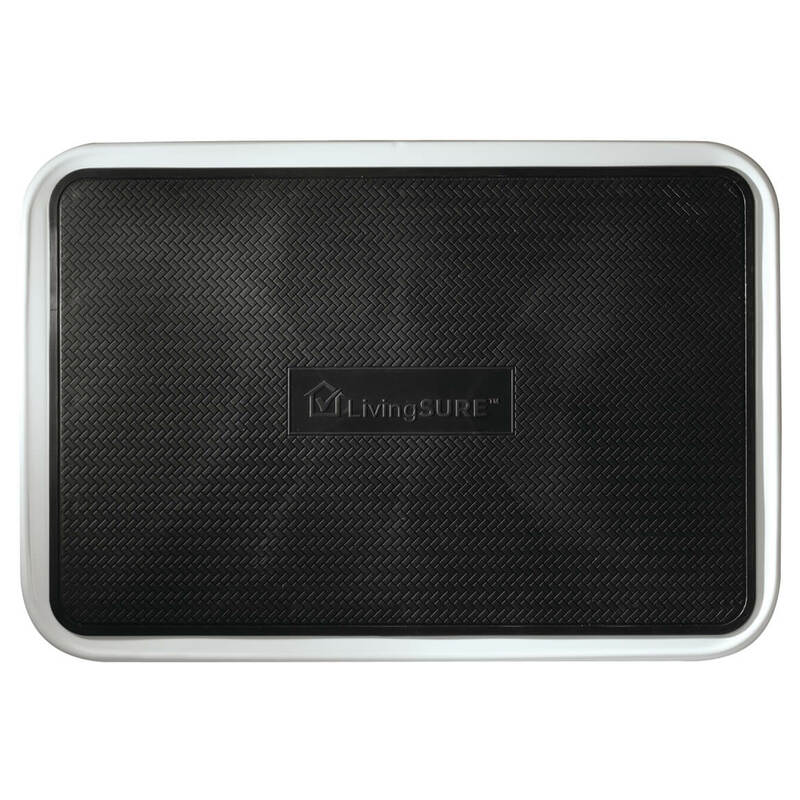 Hard to find in stores and VERY sturdy! Husband loves it instead of bringing in the large ladder for minor jobs. 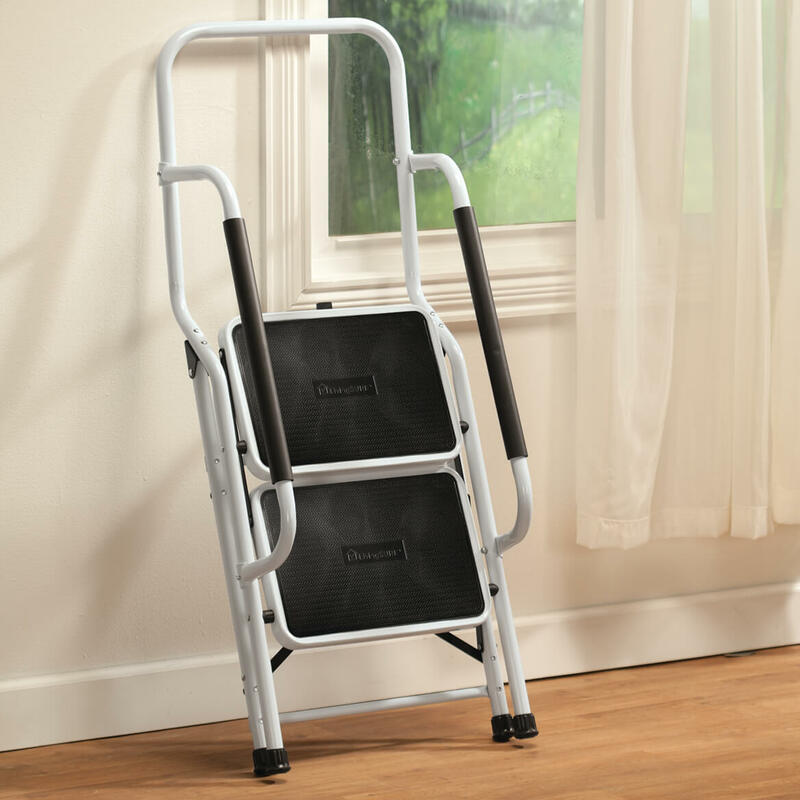 I ordered this step ladder because I am in my mid 60's and my mother is in her 80's. I just wanted something sturdy and safe for us. This seems to fit the bill. I am sure we will get much use out of it instead of the rickety old wooden one we had. Because I am short and everything in the house is higher than I can reach. 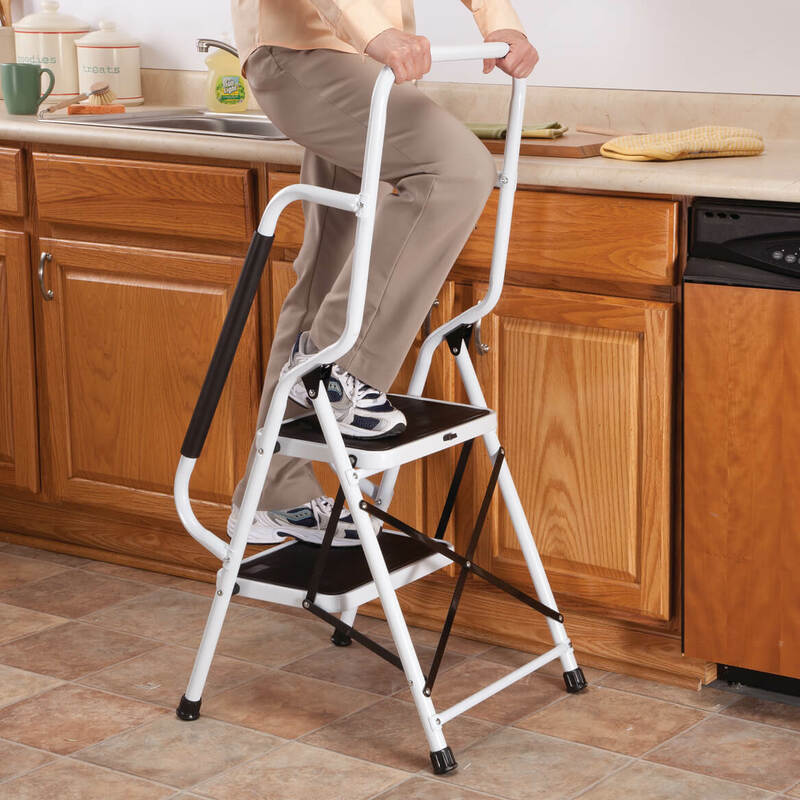 i need a safer ladder to use when reaching up to the shelves in my cupboards. I like the fact that it has side safety rails as well. 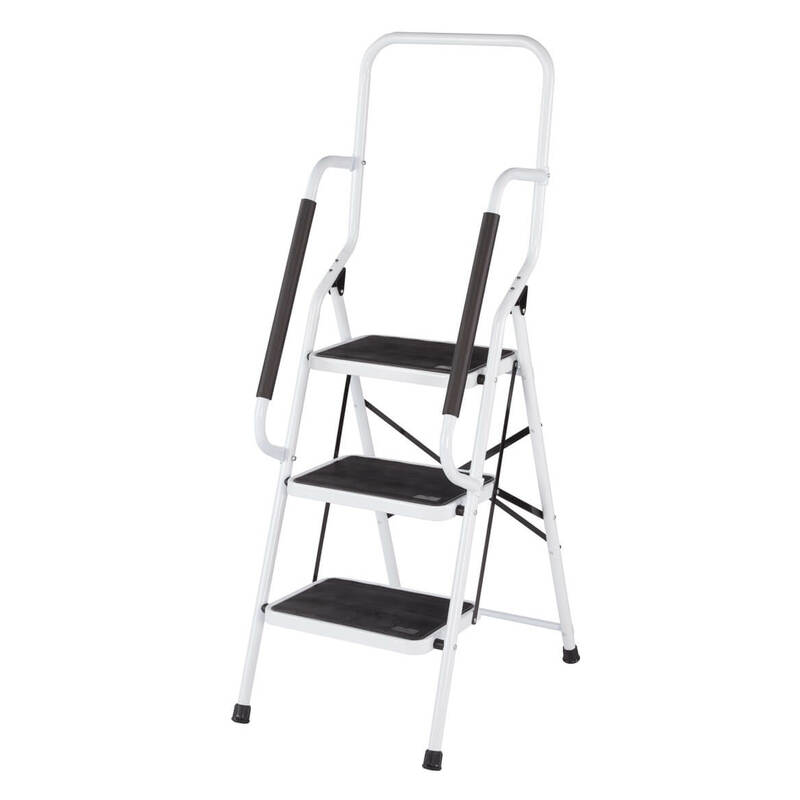 My father wanted a 3 step ladder with hand rails to help steady himself as gets older. I am short, my cabinets are tall. I needed a step ladder that went a little higher than two steps. 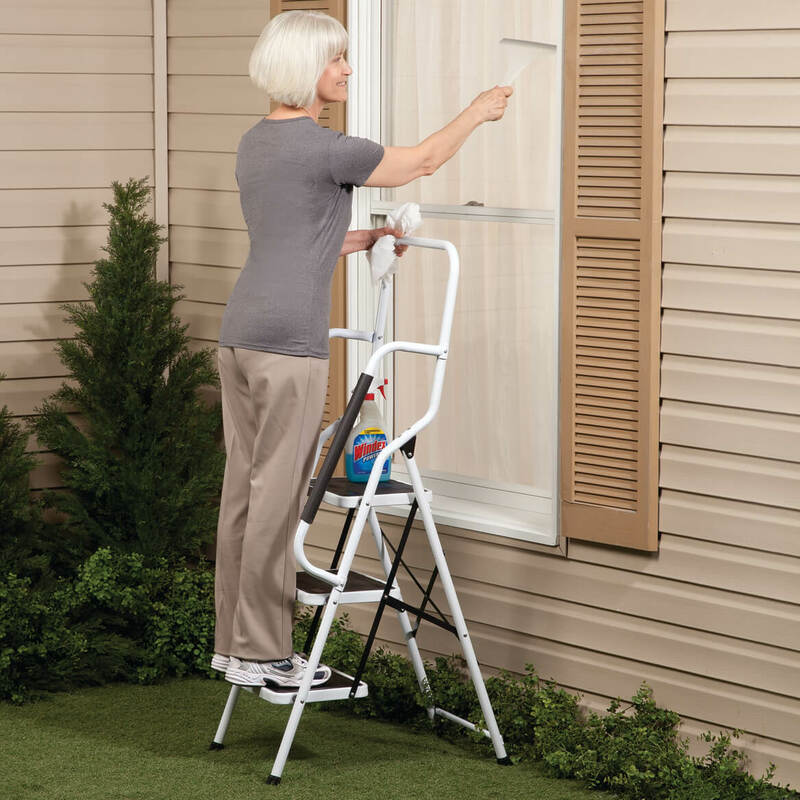 This ladder had the added feature of handles for a little more security for when I get older. 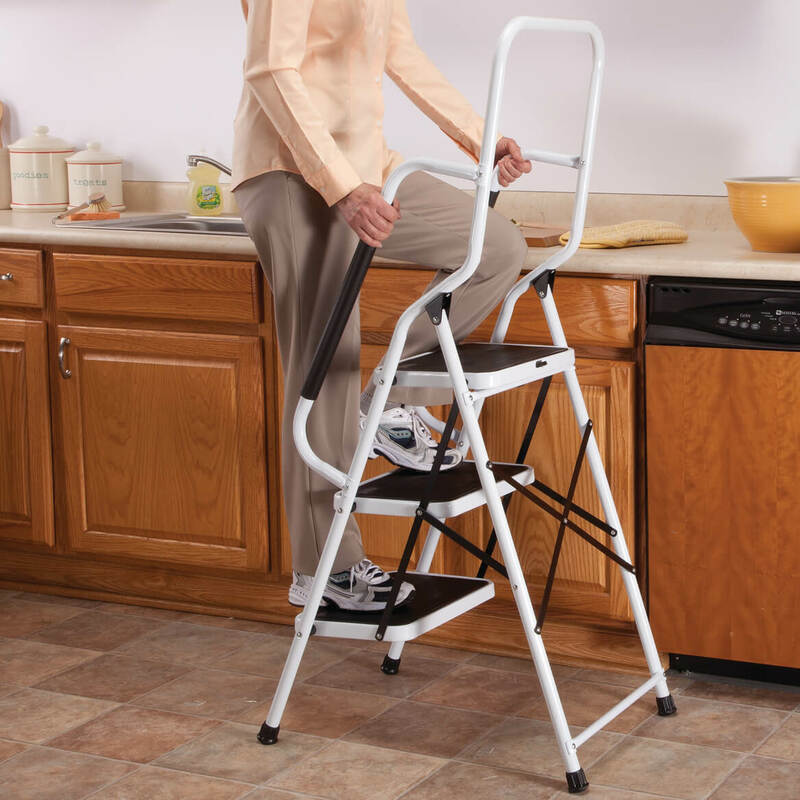 safety- am elderly and wider steps & handles are a good idea! I think the handles are a lot safer for the elderly. 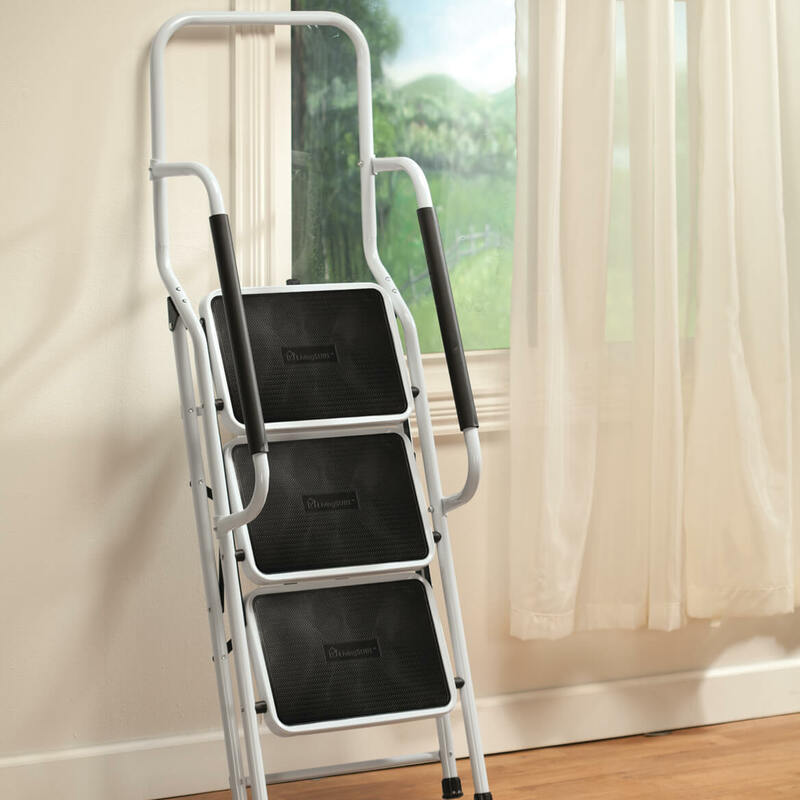 I have a problem with balance and climbing step ladders with out handles scares me and I wanted the same one for my daughter. This ladder solves the problem. Because I'm too short at one end!!! to make my life easier,I am a senior,and things are just to risky with the ladder I have. This one has safety handles and I look forward to using it. BEST ANSWER: Thank you for your question. The minor assembly will require you to attach the handle bars only. We hope this information will be of help to you. BEST ANSWER: Thank you for your question. It has a 300 pound weight limit. We hope this information will be of help to you. How high off the floor is the 3rd/top step? BEST ANSWER: Thank you for your question. It is about 29" high to the top of the third step. We hope this information will be of help to you.